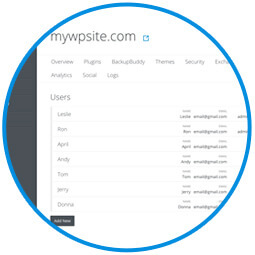 iThemes Sync makes it easy to manage users on your WordPress site remotely. Sync’s WordPress user management tools are especially handy for people managing multiple WordPress sites and multiple users. If you’re new to Sync, you can start managing 10 WordPress sites for free now. Check out the Sync Quick Setup Guide to get started. To view a list of users, click on any site you’ve added to Sync. From the individual site view, click on the “Users” tab. From this page, you can view an alphabetical list of users on your WordPress site, along with their name, email and user role. From the Users page in the Sync dashboard, you can add new users to your WordPress site remotely. Click the “Add New” button to display the Add New User form. 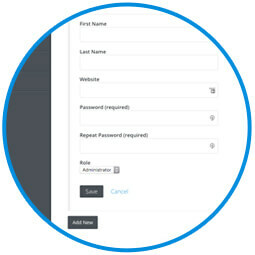 Complete the form with the new user’s username, email, name, password and user role. To edit an existing user, click on the edit icon next to any user in the list in the Sync dashboard. 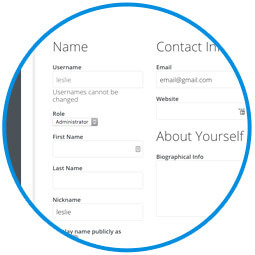 From this view, you can update any user’s first and last name, email, website, profile info, etc. 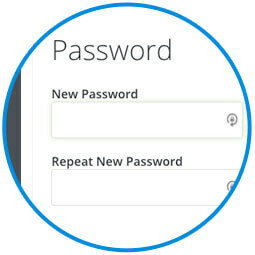 From the Sync dashboard, you can reset user passwords remotely. This can be a quick way to reset a password for a user without having to go through the normal WordPress password reset/email process. If you need to change the user role of one of your WordPress users, you can also do that from the Sync dashboard. 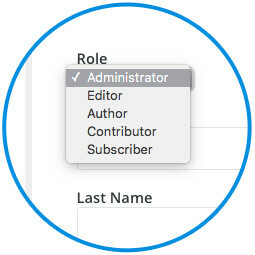 Simply select the new user role from the drop-down and click save. Sync makes it easy to manage your WordPress users remotely safely and securely. To give it a try, get your free 10 Sync sites now. Start managing 10 sites completely free with iThemes Sync today. Sync makes it easy to manage WordPress updates and offers a ton of other time-saving features to make WordPress maintenance easy. Check out all 20 ways Sync will save you time in your WordPress workflow.